A sprinkle each of salt and sugar (not shown). Chop the scallions and finely shred the ginger. 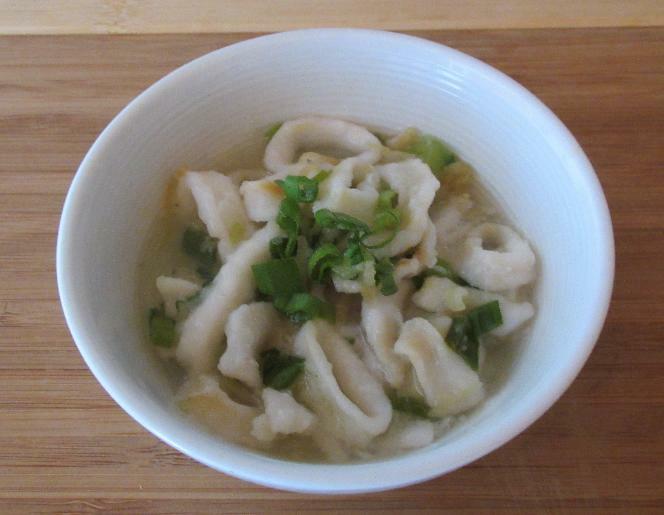 In a bowl, add flour to the squid at about a ½ teaspoon at a time and knead it into the rings, shaking off any excess when no more is absorbed (you probably won’t need all the flour). 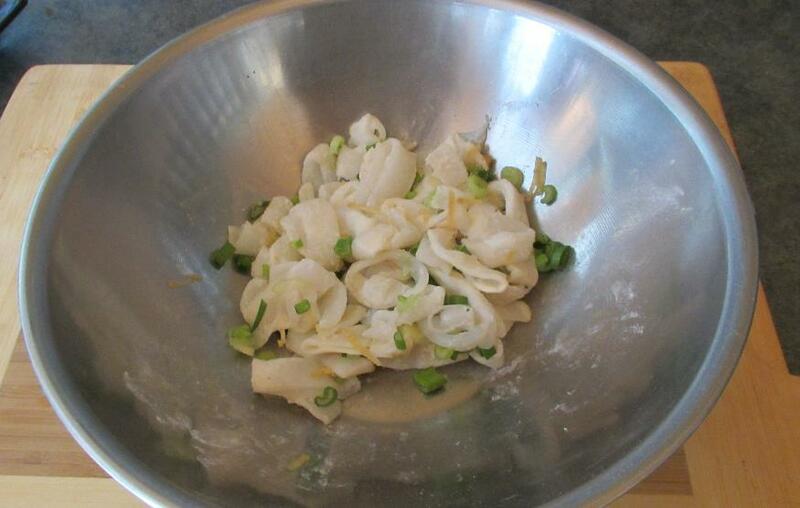 Mix the ginger and scallion into the squid along with the salt and sugar. Put into steaming dishes and steam over high heat for about fifteen minutes. 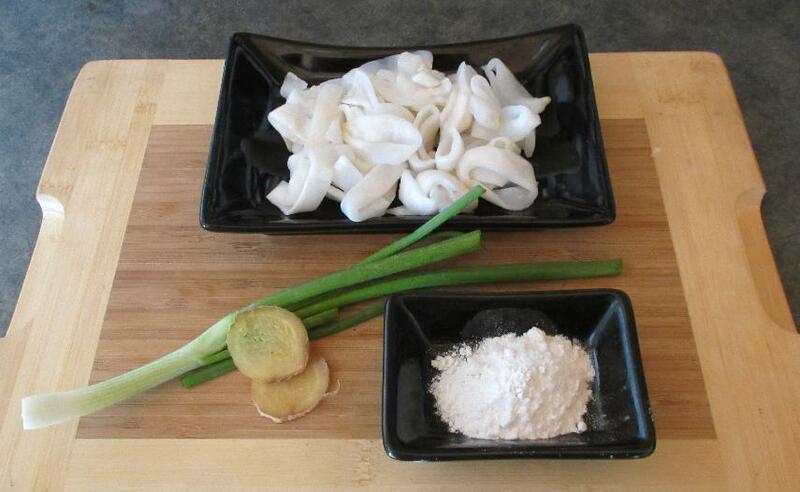 By the way, drain the squid quite well after it is thawed, and give it a quick blot with paper towel. The last time I made this dish, I added some of the flavorful liquid left over after thawing but the rings threw off quite a bit more during steaming and the dish ended up too watery. This was as tasty as most versions I have had at restaurants. Generally, in Dim Sum offerings, the squid is cut into squares from the whole body (the tentacles are often included) and I think I prefer it that way than to just the plain rings. I was still pleased with the way this turned out, however.